Alysia, who has done BTEC Sport Level 3, Level 3 Personal Training and Level 2 Gym Instructing at the Grimsby Institute, will be competing in Personal Training at the prestigious event, taking place at the NEC in Birmingham. She is one of eight in her category, who were selected from hundreds of applicants. The top two competitors will represent Great Britain at the finals in Kazan, Russia. “I was one of five on my course chosen to enter in April, when we had to do an online assessment and submit a video of us training someone,” she said. At this week’s competition, Alysia, who works at Louth Leisure Centre as a lifeguard and swim instructor, will have to train someone, demonstrate skills and give an outdoor PT session. 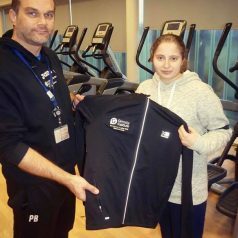 Alysia was presented with a branded set of kit for the competition by Paul Brackenbury, Grimsby Institute Curriculum Manager for Sport and Uniformed Public Services. “We’re delighted to have someone through to the final,” he said. “We’ve competed over the last four or five years and have come close, but Alysia is the first to get through. “We want our learners to achieve employment, but also to do well competitively in the industries within which they’ll be spending their working lives. 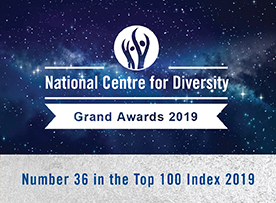 Alysia will represent the Grimsby Institute alongside Sam Smith (sheet metalwork) and Thomas Thompson (refrigeration and air conditioning). Stay tuned for updates on all three.